This podcast has been created specifically for students studying the CIE AS History course (syllabus code 9389). My advice comes from reading the examiner’s report, which is written by the chief examiner – that’s the person in charge of marking all your exam papers – in which they explain what students do well in the exam and what needs to be improved. The podcast focuses on how to approach Part (b) questions on Paper 2 of the exam. Beginning with a discussion of the mark scheme, it goes on to suggest a generic essay structure that aims to help you provide a ‘sustained judgement’ throughout your essay. 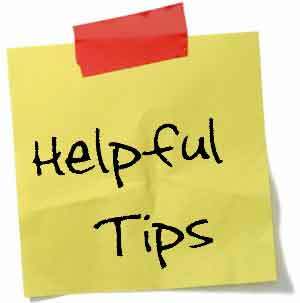 It also gives other general tips on how to ensure your answer meets the marking criteria. Tips and warnings drawn from common mistakes that students make in the exam are also provided. Your site and resources are really wonderful. It has help in my IGCSE and AS History. The podcast have help my students in planning their essays. Your job is so wonderful, It helps whoever teaches IGCSE History lays a strong foundation for AS/ A LEVEL History. These post cards are so resourceful I like them so much. Thank you so much for making these podcasts. Really need them as I’m self teaching History. Since the A2 is already available this year, I’m wondering if you’re also planning to write some exam tips/structure for Paper 3? It is a completely new type of question in CIE History as it wasn’t available on the 9697 syllabus. I have no idea how to structure the essay nor how to approach it. Your help on how to tackle the question would mean so much.. Thanks in advance! Hi Siti, and thanks for getting in touch. Unfortunately I’m not planning to create any resources on Paper 3 or 4 for the CIE 9697 syllabus this year as I still have lots to do for Paper 1 and some of the key topics. Hey Mr Allsop! Your site was really really helpful for me in my IGCSEs (I got a 92%), but now I’m doing my AS Levels, and there’s this new paper called Historian’s Interpretations that we have to do for A2, and I was wondering whether you could help with that? Thanks for your message – I’m glad you found my site useful when studying for your IGCSE History. I haven’t created anything for the CIE A2 Paper 3 ‘historiography’ paper yet, but plan to do something next academic year…assuming I have the time! Mr. Allsop’s website has been such a great help — I hope you find these resources as useful as I found Mr. Allsop’s resources when I took my exams! Thank you!! This is the most helpful advice I found on the internet!